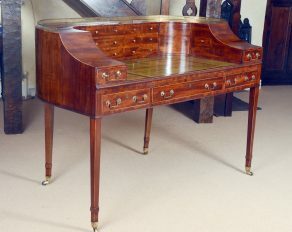 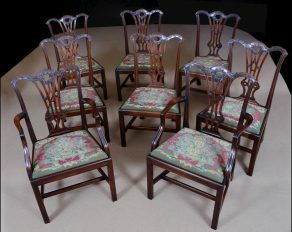 Categories: Chippendale, Seat Furniture, Sold. Of generous size. 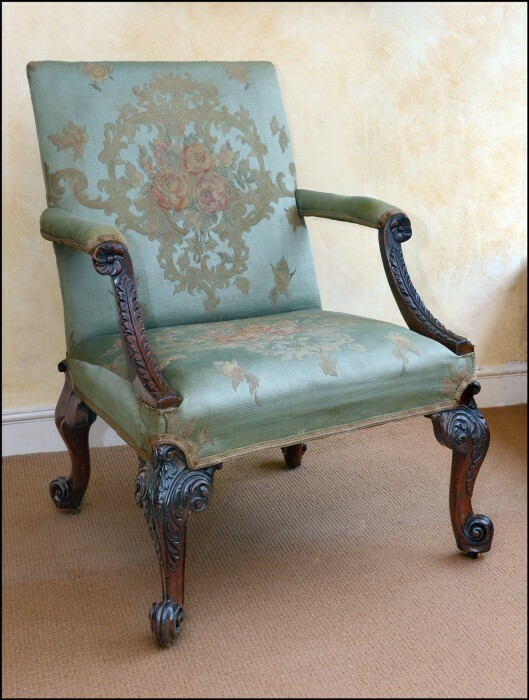 The broad seat with upholstered swept-back arms and supports carved with acanthus and flower cartouche on ‘C’ scroll carved cabriole legs with scroll toes to the front and scroll cabriole legs and toes to back. 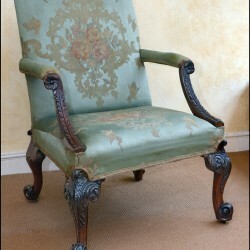 Upholstered in bespoke French woven needlework.